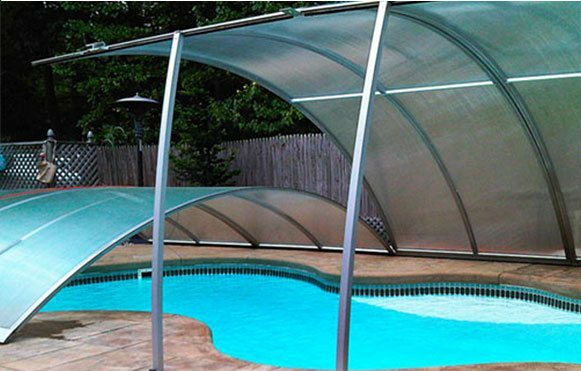 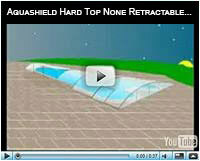 Pool cover that fits pool's any size and shape. 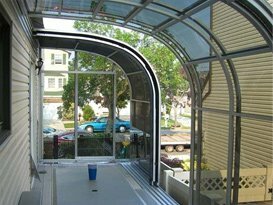 Sunrooms custom built for Your specifications. 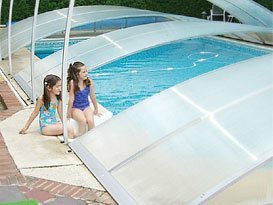 Excellent child safety protection and an economical solution. 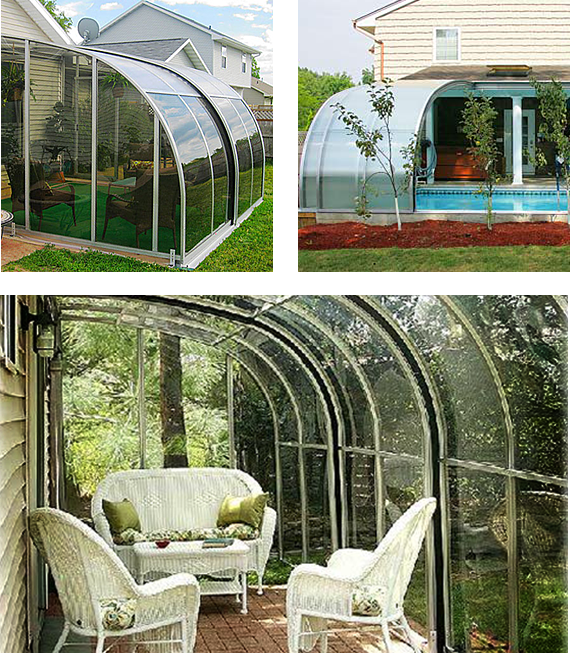 Will give you the most efficient use of interior space. 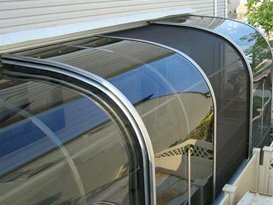 Designed to maximize interior space with a different look. 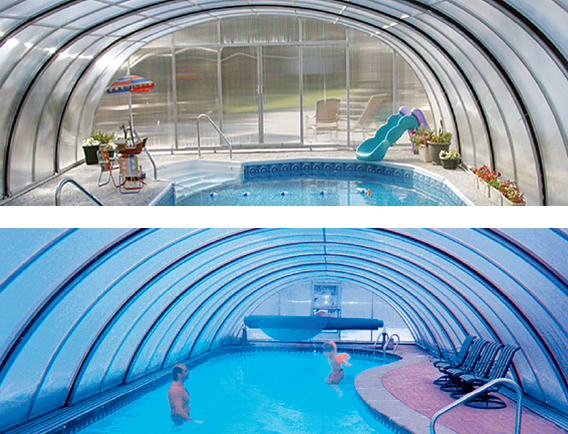 An economical solution for year round swimming. 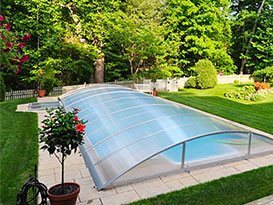 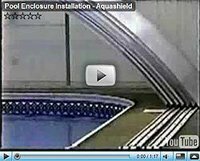 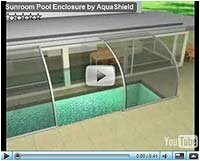 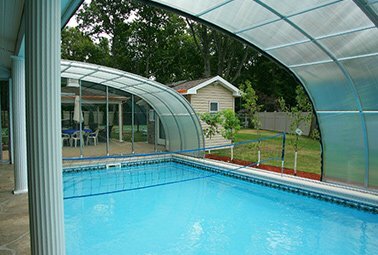 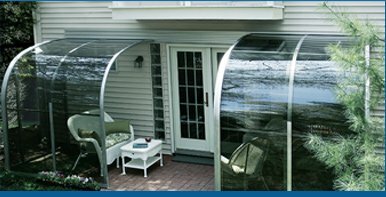 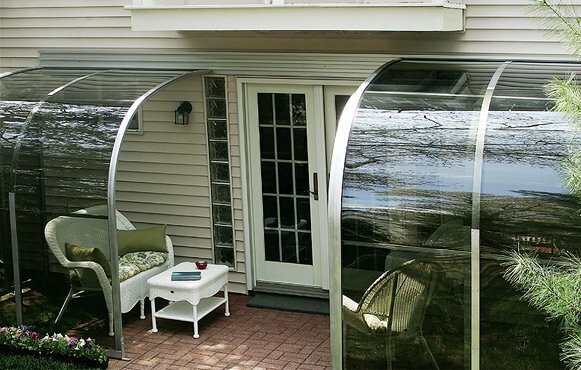 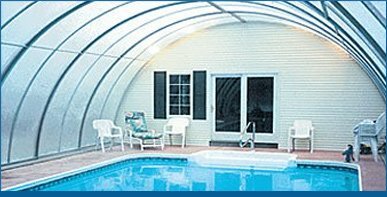 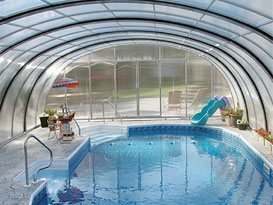 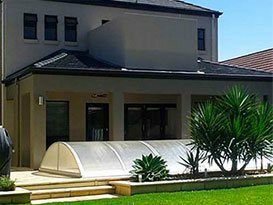 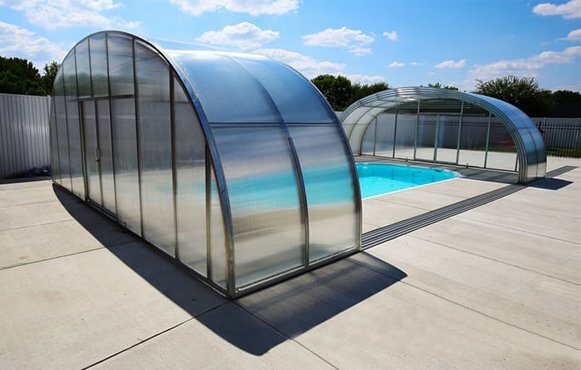 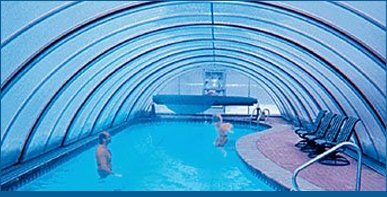 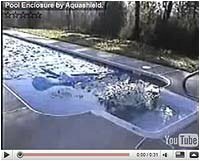 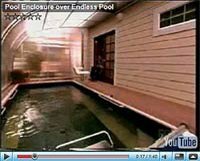 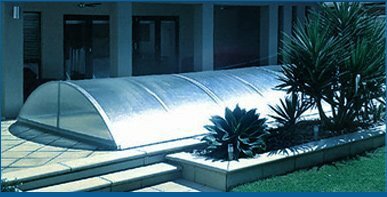 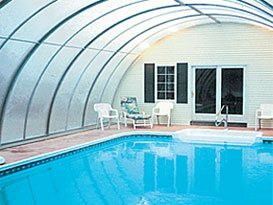 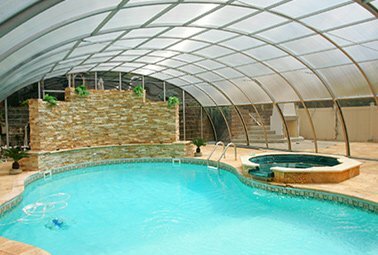 Aqua Shield's unique patented design allows our Sunroom to cover your pool or patio in seconds, letting you enjoy the benefits of summer all year round. 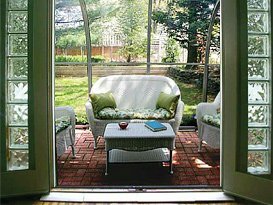 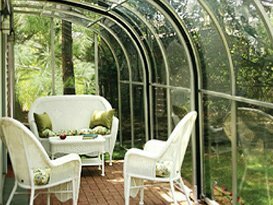 Sunrooms are available in Sunrise and Rainbow models and come fully assembled. 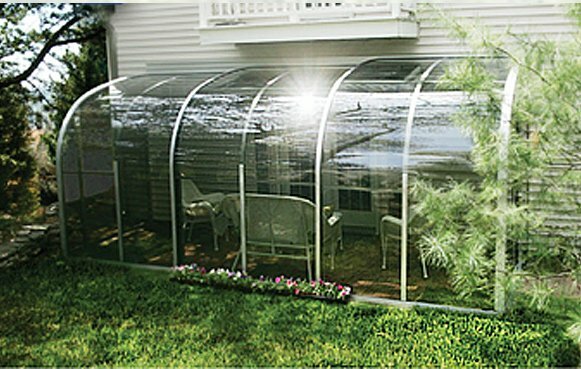 Sunrise Model is available in a clear tint polycarbonate glazing. 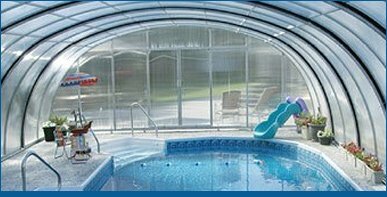 Rainbow Model is available in a twin wall polycarbonate glazing. 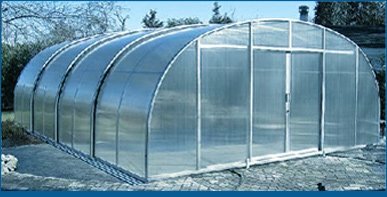 Choose from standard sizes or we can customize an enclosure to fit your needs. 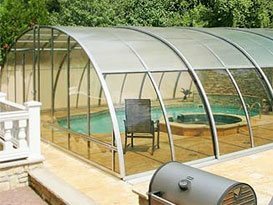 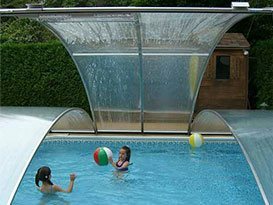 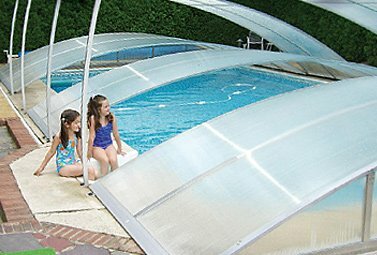 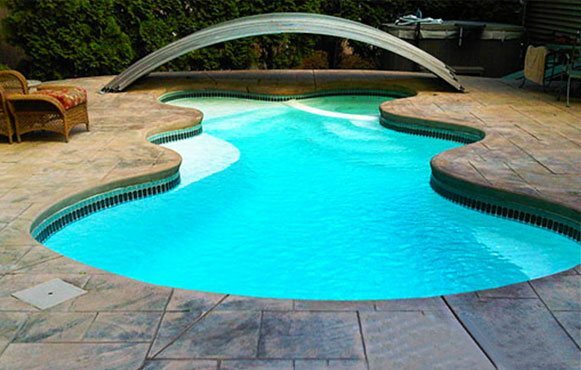 For the price of a traditional cover, upgrade to a year round swimming environment. 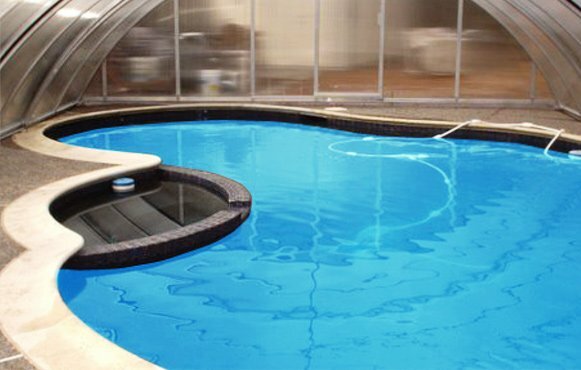 Why limit swimming 3 months when you can swim all year. 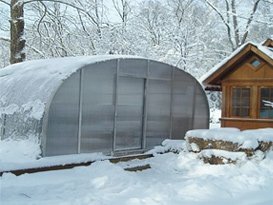 And save up to 80% on heating.